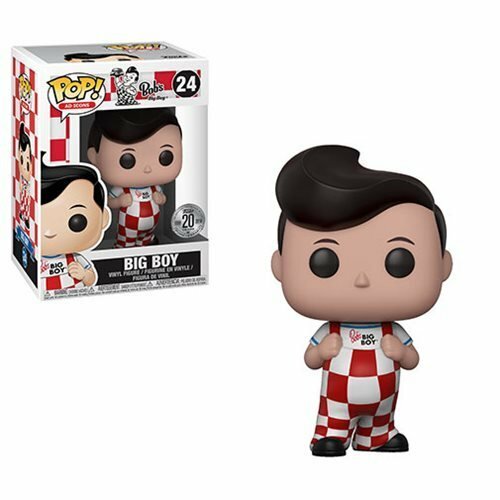 Pre Order Now For September To Guarantee Your Bob's Big Boy 20th Anniversary Pop! Take a trip down memory lane and celebrate Funko's 20th anniversary with the big boy that started it all. Bob's Big Boy has come out of the vault with a fresh pose, but still proudly rocking those checkered overalls! This Pop! Vinyl ad icon measures approximately 3 3/4-inches tall and comes packaged in a window display box. The box includes a special 20th anniversary sticker!